Quite a belated Christmas message from me, I know! Where have I been? Well last year I got more and more busy with exhibitions and also my film company (here), that I almost decided to quit Hummingbird Miniatures for a time, to focus exclusively on making stop-motion / miniature films. However.... I have been persuaded by some of my lovely clients not to quit entirely, so Hummingbird Miniatures will continue to have a presence here, on Facebook, and also at my online Etsy shop. I will re-open the shop very, very soon, and I've also started creating some new special items, just for the occasion. 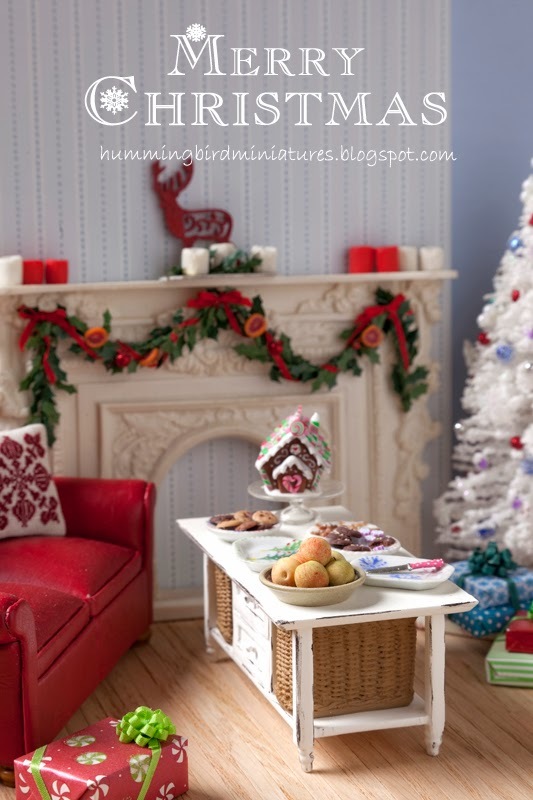 I look forward to blogging about them and stay tuned because to thank you for your patience, the Hummingbird Miniatures shop will re-open with a very BIG SALE.... details of this will be announced here on the blog soon. Hope everyone had a wonderful Christmas / holiday season! Have a fantastic new year. 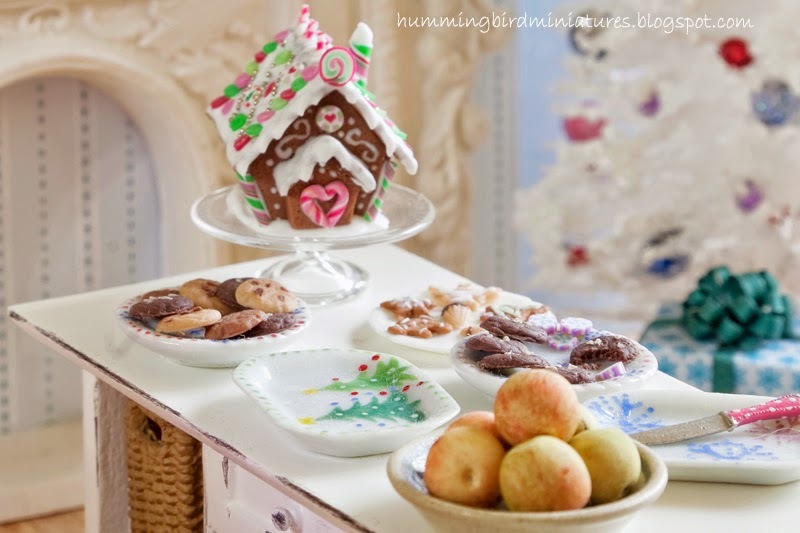 Here's a look back at a few of Hummingbird Miniatures' Christmas 2014 photos. Also, find past Christmas's here. PS Look what I received this Christmas!! Something I have wanted for ages, ever since I saw it in the window of a little shop at an LA mall. It's a miniature hot air balloon with a wicker basket and I just love it.